Much more than just an EMR system, eIVF is a customizable set of processes for providing thousands of scenarios and information related solutions in fertility and reproductive medicine. Our suite of information technology solutions has evolved in response to the “real life” clinical, workflow and financial information needs of REI practitioners, their patients and business partners. eIVF’s Practice Management system is ideal for practices of any size, from solo doctors to enterprise class health networks. Our PM system automates eligibility and benefits verification, manages appointments and schedules, streamlines medical billing, and stores important demographic data. 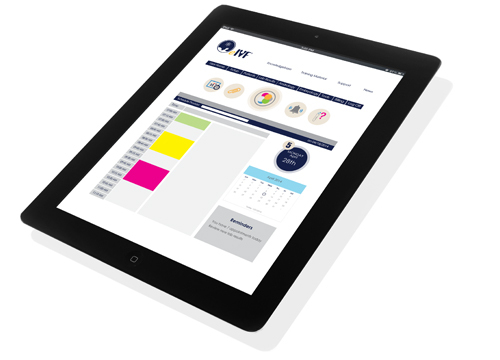 It is fully unified with the eIVF Electronic Medical Records system and offered as part of our comprehensive EHR solution, giving customers an answer to the challenges of managing practice workflow with an emphasis in fertility. Schedule Management - Administer multiple providers’ schedules across several office locations with ease. Patient Demographics - Configurable to your preferences, eIVF PM ensures the right information is captured. Tools to make this easier include required fields, scanned text-to-data capabilities, integration with eIVF Patient Portal as well as kiosk and linking family members. Medical Billing Management - Submit claims electronically, interface with clearinhouses, utilize claims rules engine, track the status of claims, and determine what and when services will be paid. Claim Scrubbing - Save time and money by ensuring your claims and error free prior to submission. Reporting - All structured data is available for reporting. Gain insight into how the business side of the practice is running. The eIVF e-Filing Tool is an add-on application which works in conjunction with eIVF. Have you always wanted a central point to easily access faxes, labs, referral letters? Hoped for a more convenient, intuitive method of uploading documents into patient e-charts? eIVF e-Filing offers a streamlined program created to cut clinical and administrative costs, while also saving time. E-Filing is set up to display your incoming electronic communication locations. The eIVF e-Filing Tool provides a sophisticated, user friendly platform for the digital distribution, filing, correspondence, and diagnostic exchange essential to everyday clinic function. eIVF takes your fertility practice to the future and beyond. For an eIVF Fertility practice to go beyond digital management, we deliver solutions through all technological devices. eIVF is the technology of the new century and the future. eIVF-Connect is eIVF's integration and interface-engine designed to allow connectivity with enterprise and other disparate systems.